Ornaments are a big part of aquascaping. The plants provide the natural look but the real heart of the scape is provided by carefully and artistically placed woods and rocks. Anything that is unusual, very branchy wood or jagged striped rocks are the most appealing to an audience, as they are impactful and easily recognizable. 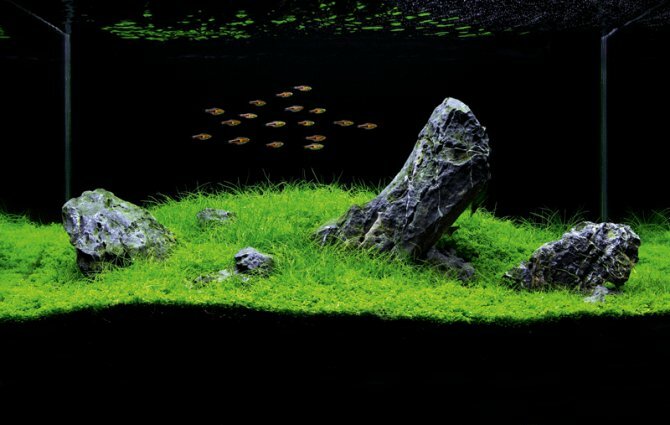 Alkaline stone is NOT recommended in aquascape, its alkaline element will effect the pH level in the tank. Most of the wood from aquatic shop should normally have been treated. However, do soak any new branches into water for about a week to get rid of the dirt before putting it into your aquarium. If you collect wood yourself, you MUST make sure to boil it over and over and let it sit in a tub for a few weeks to remove tannins. These will stain your water an ugly brown and change the aquarium's pH. 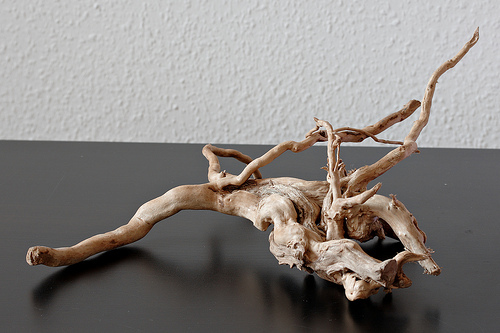 “Driftwood” is what you want; it has been exposed to the elements and most of the nasties will be gone. If you buy it from a store be sure to wash it to remove any chemical bleaches they may have applied. Wood – The branchier the better. Don't choose a boring log as it has no appeal. Woods with unusual bends and fronds is also perfect for applying moss and plants. An interesting idea is to have the wood coming down into the tank like in nature. Rocks – Rocks are another great addition. Sometimes rocks and wood go hand in hand and other times not. It is important to only choose natural coloured rocks, although red desert rock looks great, when placed in the tank, it draws too much attention and turns out to be quite ugly. Softer colours like black, grey, and deep browns are also good. Before putting the rock into the water make sure it will not react and make the water harder. The best way to do it is to put vinegar on it and check if it bubbles, and if it does, don’t risk it. Gravel – Natural coloured gravel, white and black gravel gives the best results. 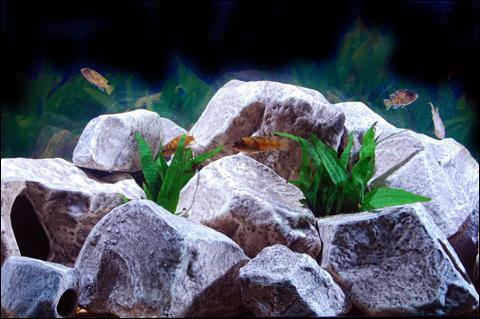 For nice coloured fish, black will bring out their colours but for a lighter aquascape, white will prove to be better. Play around with your ornaments and reflect your creativity in your aquarium.